On 22 July 2015 a High Court Judge threw out the supermarket giant Sainsbury’s appeal against the London Borough of Hillingdon to block development work on the Old Dairy, Ruislip. The site had laid dormant for 9 long years since 2006 and this decision meant that Citygrove’s proposed retail and entertainment complex could finally proceed. Whilst the Sainsbury’s legal challenge to the Citygrove Arla development garnered all the headlines over the past two years, many will be surprised to hear that two other adjacent developments were quietly proceeding under the radar. In October 2015 Bellway Homes commenced construction work to build 132 homes comprising a mix of houses and flats. It is anticipated that they will go on sale in 2017. Just before they started work, in September 2015 Woodvalley Builders began construction of a B&M Homestore and Aldi Supermarket on the site of the former Focus DIY and Land of Leather stores on Victoria Road, Ruislip. These are set to open in April 2016. 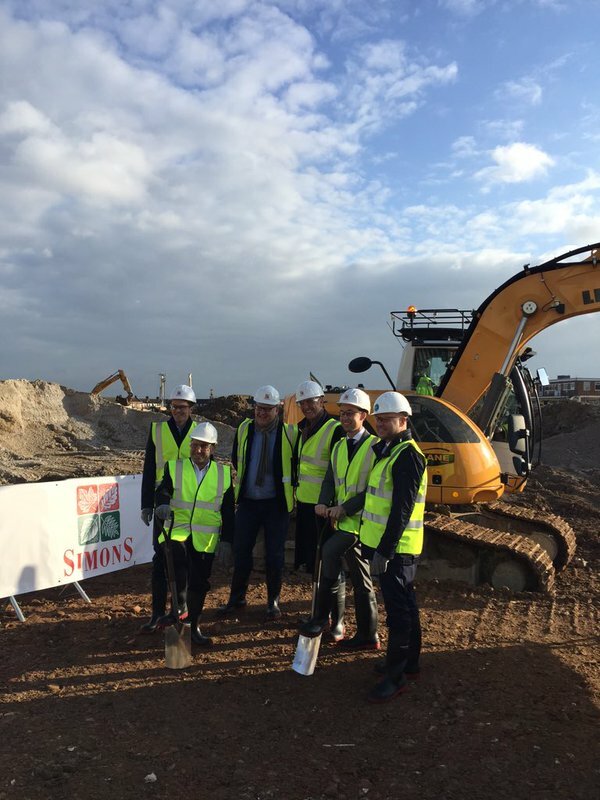 High levels of collaborative working are expected between the CityGrove complex builders Simons Group, Bellway Homes and Wood Valley Builders as they work on these sites. 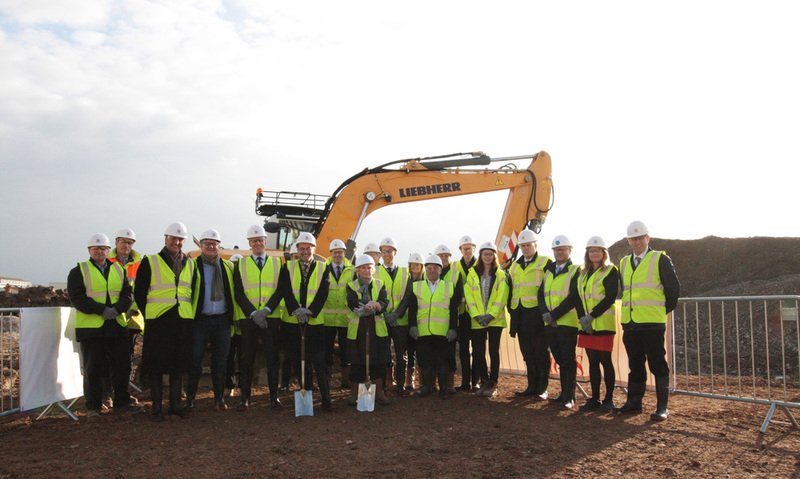 Wednesday 2nd December 2015 saw the ‘Groundbreaking ceremony’ at the long awaited Arla construction site on the Old Dairy, South Ruislip, which marked the first official day of construction. Senior officials from building firms and media were present to witness the moment. Preparatory work commenced on 19th October 2015 and over the next 12 months to December 2016 construction will continue on the external building, followed by internal work and fitting out from January to Spring 2017, when the brand new Citygrove complex is scheduled to open. The main work being undertaken now is preparing the site for piling. This will be followed by putting in the foundation and steel frame by the end of February 2016. At the peak of construction it is anticipated that there will be 150-175 operatives working across different disciplines on the Arla development. 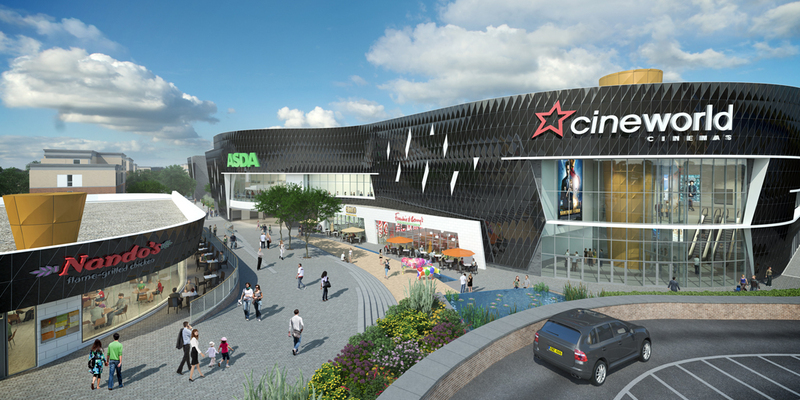 The £25.8m project will comprise a state of the art 11 screen Cineworld cinema, ASDA Supermarket, 5 family themed restaurants, a piazza and a petrol filling station. These three major developments mark a period of long awaited regeneration for South Ruislip will not only provide fantastic new amenities and shopping options for the area, but will also prove a big draw for others from all over London and beyond to the area. In previous years Tiemo have been the organisation giving out awards so we are delighted to be nominated in two categories for the UK Bloggers Awards 2016. We are nominated in the ‘Arts & Culture’ and ‘Odeon Cinema’s Best Storyteller’ categories. So why are we telling you this? Well we need your support to turn our nominations into awards. So if you like this article and what we’ve written for you over the last year then please click the vote button to vote for Tiemo Talk of the Town. It will take less than 1 minute to vote. You can vote once a day, per email address, per device, right until close of voting on Monday 25th January 2016. Your votes will mean a lot to us. This entry was posted in Legal, News, Politics and tagged aldi, arla development, asda, b&m homestore, bellway homes, citygrove, kevin lake, old dairy, simons group, south ruislip, woodvalley builder. Bookmark the permalink. The last paragraph summed it all up “it will prove a big draw for others from all over London and beyond” as if we do not have enough traffic problems in South Ruislip already, as well as air pollution, how will that be managed. Thanks Martin. Depending on the time of day traffic can be quite heavy or pretty quietish. Rush hour obviously being the busiest period, but that may not necessarily be a factor for shoppers and won’t really be an issue for evening cinema goers and people dining out. Air pollution could well increase of course. Will be interesting to monitor. I presume they’ll encourage people to use the local tube stations. It will be interesting to see how the new road layout will effect traffic problems on Victoria road during rush hour. The majority of residents are willing to welcome the development however huge consideration needs to taken for the local residents for traffic control, which I hope can be achieved and not ignored. Thanks Chris. I would hope this has been well considered by the contractors and local council alike. I imagine it would have been part of the planning and decision making process at local authority level. Absolute moronic decision; South Ruislip is a residential area it doesn’t need these huge, overbearing developments. The congestion, the noise, the traffic will all contribute to deteriorating quality of life in the area. Local residents are not happy about this at all. A huge, 11 screen cinema? 5 restaurants? Why? This is suburbia, not the hustle and bustle of a town centre. It’ll bring the area down. George Thanks for comments. Can you tell me who the people are complaining regarding this? I have to presume locals were consulted by Hillingdon council and possibly the developers too, so they should have had a chance to voice their concerns and as the development’s proceeded, one can only presume they were out numbered by those in favour. My understanding is that many were rooting for the Council to win their court battles against Sainsbury’s. I can see your point though. I presume you would have preferred the site just be extra housing to help solve London’s housing crisis? Most local restaurants are not full every day and night, so I don’t see many people viewing this as damaging to South Ruislip. If anything S Ruislip is sorely lacking in eateries and nice places to go for a drink. 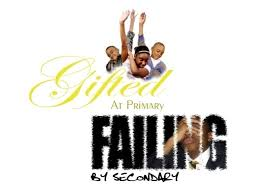 Those existing one’s maybe need to raise their game ahead of this new development. Whilst there was not a desperate need for a cinema, with very nice one’s in nearby Harrow, Uxbridge and Park Royal, it’s no bad thing and perhaps it will attracts locals from Ruislip, Hayes, Greenford, Eastcote etc… in sufficient numbers to make it a success. Furthermore, Nando’s and Frankie & Benny’s are a different restaurant experience to the existing offering’s in the area and are likely to prove popular. There are public consultations which only a minority of a minority bother to attend – that’s always the case for redevelopments. They’re certainly not a window into the feelings of residents in local areas – look at the press, even look at social media. Far more indicative of local feeling. There are people that like the idea but there are lot of people who don’t. Some more housing would have been ideal – but we’ve had innumerable housing developments in the area in the last decade – all useless flats, of course, that are not at all ideal for families. There’s an issue with London housing at the moment in general because we’re in the midst of a housing bubble; if that bubble was actually tackled instead of prolonged then we wouldn’t need all these new housing developments. A bog standard 2 bed terrace in South Ruislip is currently priced at about 400k, which for anyone from the area, or for anyone that knows the history of house prices in the area, is a crazy valuation. South Ruilsip is a surbaban resdiential area, we’re not in London; there are places to ‘eat’ and ‘shop’ that are a stones throw away that won’t undermine the residential feel of the area or overwhelm the capacity of South Ruislip. These plans are far too commercial. And I really don’t see why attracting hoards of people from nearby areas and congesting an already congested area is desirable! Why this incessant need to ‘build up’ what were once nice family, residential areas? What could they have built in its place? I have no idea, but the surrendering of the development to faceless brands to mark South Ruilsip as nothing more than a faceless entity of London doesn’t strike me as that visionary. If you really want to go to a Frankie and Bennies or Nandos then travel 10-15 minutes up the road to South Harrow or Harrow Town…. This is not a highly commercial area and it doesn’t have the infrastructure to support these sorts of developments. Do we really need another massive supermarket when there’s a Sainsburys moments away? And even, in the next few months, an Aldi and B&M? How about a new local park with a small industrial estate for local, independent businesses? Providing good salaried jobs rather than the minimum wage rubbish that will be provided by ASDA etc? Re public consultations. I believe that’s how these things are done. I disagree with you that the locals are against it. The coverage in the paper’s indicated people were against what they saw as Sainsbury’s self-interested case to stop the development, which was not anything to do with the locals not wanting an Asda, cinema, petrol station and restaurants. If they were they needed to partake in the public consultation. It would be interesting to know if any resident associations campaigned against the development. Perhaps they had their ear to the ground more on such matters e.g. SRRA. Re Housing. OK. If that’s the price of a 2 bed terrace that’s something else. An 11 screen cinema and Nando’s I would say are highly desirable. Many would argue that they bring up an area, rather than drag it down as you suggest. Nando’s is extremely popular and will draw people to the area. A petrol station? No as there’s one less than 100m away! I hear you re all this though overall. I don’t recall people crying out for all this, but I do think it was necessary to do something with the prime land left idle and rotting like a dead carcass on the street’s of West London. There’s even plans for another supermarket further down at the opposite end of Victoria Road! I didn’t even hear of this till recently. It’s quite bizarre really. A bit more creativity might have been in order e.g. a youth centre or something to occupy young people. It is wrong to say “rush hour” because on weekdays there are two periods of heavy traffic, one in the morning and one in the evening, each lasting at least 3 hours. At weekends the so called rush hour lasts all day along Station Approach. Development in South Ruislip should not be allowed to continue unless it also includes ways to reduce traffic congestion. People will not want to come here if congestion is so bad that they find it easier to travel along the A40 to Park Royal or Uxbrdge. Paul. Thanks. I think every commuter knows there are two rush hours per week day, morning and evening. Most areas of London, probably the entire country, are busy during rush hour so this isn’t anything new or specific to South Ruislip that you can suddenly make dissapear. I agree Saturday’s are busy too on Station approach. Again, nothing sinister re that. It’s evidence of it being a popular area and thoroughfare. None of which is the fault of the Arla development. I see they’ve installed new traffic lights. I hope they won’t be operational until really necessary as that part of Victoria road doesn’t really need traffic lights now as traffic flows well and there’s no congestion. I don’t envisage they’ll consider for one nanosecond postponing the development for traffic reasons. After all if it gets busy thats exactly what they want. If it isnt people will say it’s a flop, a waste of money and no-one’s going there. Yes, we all know there are two rush periods each weekday but the point I am making is that they each last at least three hours. In the evening this could delay cinema goers. The present congestion in Station Approach may not be the fault of the Arla development but once the site is up and running, any future worsening of this congestion will be due to this development. Our local roads are very much the same as they were 50 years ago; we cannot continue to allow the building of amenities and housing and, at the same time, expect these same roads to cope with the ever-growing increase in traffic. Once the area becomes regularly gridlocked, people will be put off of using the new amenities as it will be better to go to other areas with easier access. Being busy may be what the developers want but it is certainly not what the local residents want. Paul Good points and I hope they’ve been considered and steps will be taken to address them, but short of widening the roads into dual carriageways what can they do? I know they’re keen to encourage people to use the train in, but whilst that would be an idea for non-local’s, I can’t see that happening (certainly not for people who live in Ruislip) who will need to drive in or get a bus in (if feasible). Many of course will prefer to drive in regardless. I was thinking earlier … of the dreaded parking situation. Has this been factored in I wonder. As for on street parking … I daren’t imagine what will happen. @Kaz – thanks for your comment. Thank you all who read, commented on and shared this blog, helping to make this easily our most widely read, most popular, #1 blog of 2016. Exclusive: The brand new Nando’s has been built (pictured above). Builders are currently working on the interior fit-out and the restaurant is scheduled to open it’s doors very shortly. Possibly as early as 31st March 2017. Remember, you heard it here first. Good read. Looking into purchasing one of the new flats in the development and it’s nice to have an insight of the area from the locals as well. Need to travel around the area more to experience the congestion though. In the latest exciting new Citygrove development Nando’s will be opening its doors to diners today.